Norman Front Door is the perfect solution for those who love modern functionality. Locks are hard to break-in due to counter bolts on the hinge. Design. 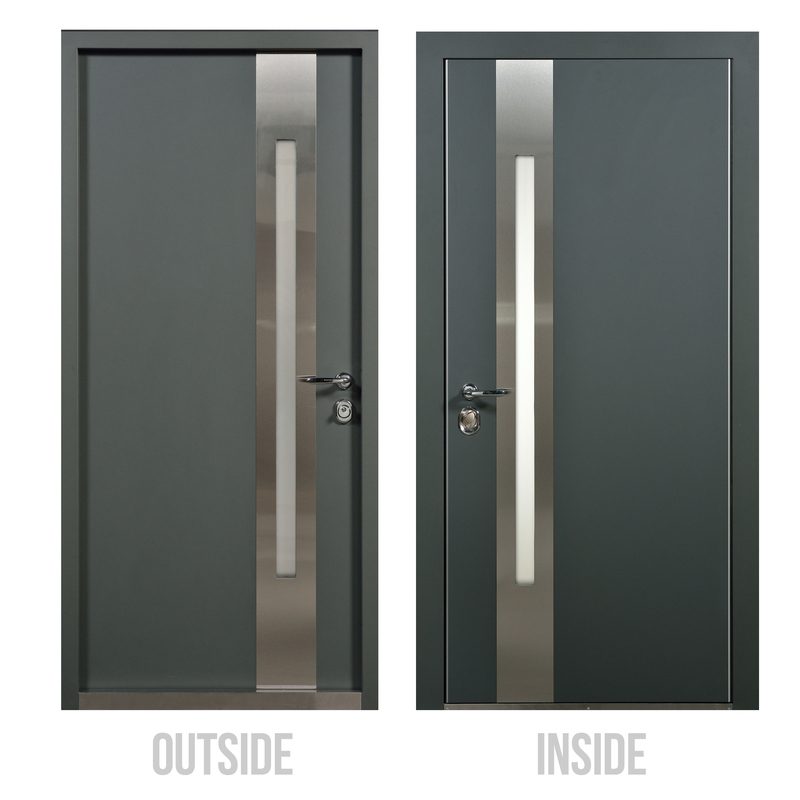 Made with security in mind Norman Front Door features metal inserts to the contemporary look and vertical glass to visually expands the space. Security. The door leaf strengthened with hard ribs. Counter bolts on the hinge cannot be cut, cylinder and locks are responsible for additional safety. Heat & sound insulation. "Norman" protects from unnecessary noise and sounds from the street. Heat insulation material liquidated cold air, so all over the construction, there are not any condensates. Three-layer fiber glasses save warm air in the house. Durability. Italian lacquers and paints can stand for thermal changes, high humidity, chips, and scratches. Loops with a self-adjusting sphere provide work for failure. Insulation: Styrofoam "Porilex", "Thermal mirror"
We got our new entry door from your website, and it made an AMAZING difference for our apartment. This is the place to purchase beautiful stock and custom front and interior doors. Good product, nevertheless the price is high enough Prompt delivery All was made accurately, fast with no problems I will use your company in the future Recommend! Thank theDoorsDepot for the service. Well thought out company that works perfectly on any step. I visited their warehouse and chose this door almost immediately. Quality of products was seen from the solid design and operational features. It is a perfect match! Door've livened up my house's curb appeal. Glass insert is matte and this adds style too. Looks operate well and look durable. I amazed by this front door and how it blends with my exterior. The color of the door is richer than in the pictures and looks very modern.